Recently Google officially declared the launch of Google TV. They are with an aim to provide users like us with a remote interface but with all the major web functions. It’s like this, You can access a site on the Google TV just like you do on a desktop. 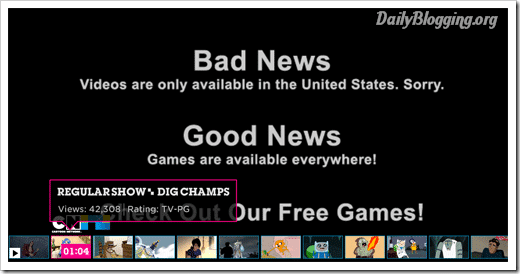 For this the webmasters (in us) have to optimize their site’s to make it compatible with Google TV’s view. Below are few important points which every webmaster must consider & do the necessary changes in case he/she is focusing on optimizing their blog for Google TV. It’s not compulsory for every site to be optimized at the moment, as the light of Google TV has not shadowed the desktop version of websites. As you can see in the below image, it’s Cartoon Network’s Leanback version (CN Leanback). 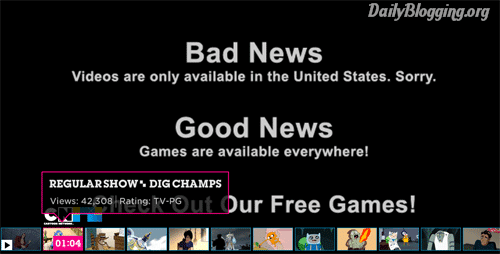 You can easily spot the changes between the leanback version and the Normal version of the site. First and the foremost thing which must be followed is the typography; that includes the (all CSS/CSS3 properties) selection of fonts, it’s sizes, color, letter-spacing, special effects like text-shadow,etc. Choosing the right colors is very important when optimizing a site with the perspective of viewing it on Google TV. An hover effect which includes slowness i.e. transition in simple CSS. This will give the user a unique feeling. This will ensure that the user need not move his fingers more often on the remote control, as the page will be updated easily by just moving the dock on the remote. For more tips on how to design your sites for Google TV navigate to their help page. 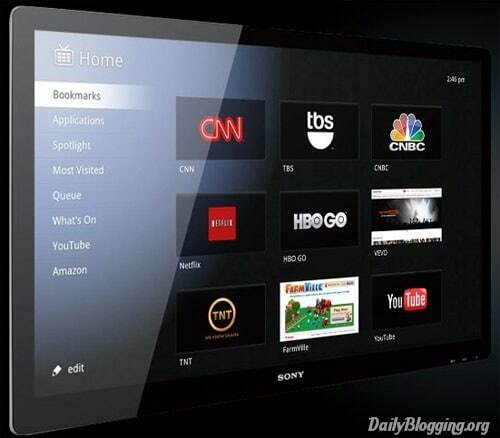 Do you think Google TV will prove to be the desktop killer ?? Great tips here! And buddy, I don’t think Google TV will be a desktop killer – at least let it first beat iPads. In fact, Most of the common men are ignorant about Google TV. first of all I would like to thank you because I don’t know about the Google tv yet, and you give me some nice information. and will you think my blog es eligible for Google tv optimization? I think no it is not, what you say ? Is this tips also applicable to mobile website? I ask because I think most people will enjoy the Google TV from their mobile gadgets. Wonderful tips Mani. I am new to these things and I will follow your tips for sure. Thanks for sharing. I think Google TV is not compatible like our usual desktop interaction,but the tips are committable to optimize thanks for sharing.. Yes accessing from mobile will be great. Thanks for sharing this tip. So is Google TV just for watching internet shows like YouTube and episodes of TV that can be found on networks websites or is Google TV going to also include sites that sale things and information sites, like our blogs? If the later is the case then I agree with one of the other commenter, I don’t think Google TV is going to really out do the PC but it is still a market possibly worth tapping into. 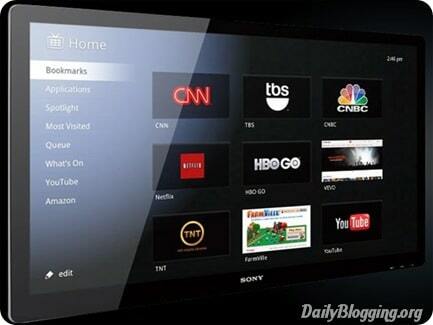 Google TV will be the next big thing. Thanks for your tips mate. It seems to be so interesting.Thanks for sharing this information and such useful tips.Really those tips help many SEO professionals to optimize their blog or website. I don’t trust anything I see on the news or read on the papers. I can’t find any reliable source on the Internet anymore; Google now filters your searches and lead you to sites that they want you to move towards. i am checking it out…. I dont know what else I can do, and I don’t know how long it will take to start ranking. I have pretty much no budget for SEO, but I am also using AdWords. Great optimization tips! Thank you for sharing. It’s new to me. Anyway, thanks for the share bro.